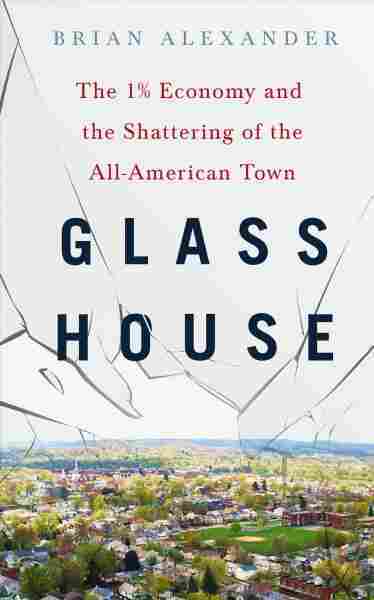 'Glass House' Chronicles The Sharp Decline Of An All-American Factory Town Once a bustling town, Lancaster, Ohio, is now beset by unemployment, low wages and drug abuse. 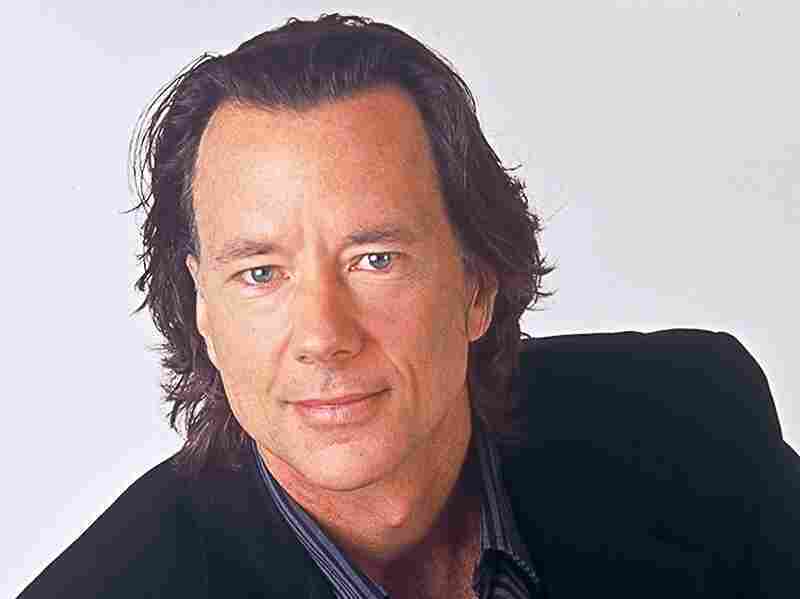 Brian Alexander chronicles the rise and fall of his hometown in his new book, Glass House. 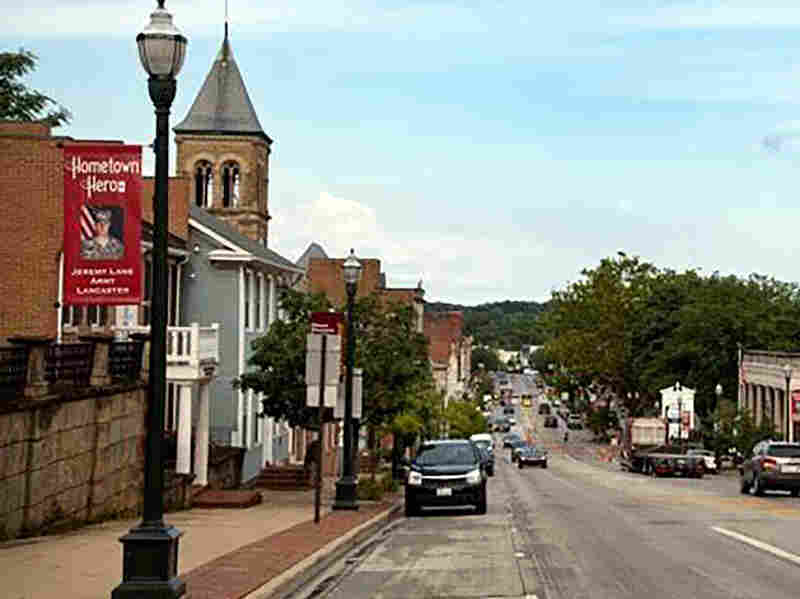 Once a thriving factory town, Lancaster, Ohio is now beset by underemployment and drug abuse. Lancaster, Ohio, the home of the Fortune 500 company Anchor Hocking, was once a bustling center of industry and employment. At its peak following World War II, Lancaster's hometown company was the world's largest maker of glassware and employed more than 5,000 town residents. Though Anchor Hocking remains in Lancaster today, it is a shell of its former self, and the once thriving town is beset by underemployment and drug abuse. Lancaster native Brian Alexander chronicles the rise and fall of his hometown in his new book, Glass House. "People are genuinely struggling," he tells Fresh Air's Dave Davies. "The economy of the town is struggling, not because there's high unemployment, [but] because the employment that there is all minimum wage, or even lower than minimum wage." Fairfield County, in which Lancaster is located, went 61 percent for Donald Trump in the presidential election — a fact that Alexander attributes to the candidate's message of disaffection. Alexander says on Election Day one Lancaster woman told him she voted for Trump because she wanted "it to be like it was." After World War II, Forbes devoted almost its entire 30th anniversary issue to Lancaster, Ohio, of all places, and positioned Lancaster as the epitome and the apogee of the all-American town — a sort of perfect balance between large industry, agriculture [and] small businesses, like retail and merchants and so on. ... And everything was in this state of almost Utopian equilibrium, and for the most part it really was like that. Which is not to say there were not problems. There's always been problems, there's always been small-town scandals, and there's always been an element of poverty, a fair amount of drinking in Lancaster. My grandfather used to say — he was an old glass man from western Pennsylvania — and when he would come to visit he would say that he never saw a town with more churches and more bars. ... So it was not free of problems, but it was really, from my life, very much like Leave it to Beaver, quite honestly. You had a core of college-educated, sophisticated people who made good livings working right downtown at the corner of Broad and Main Street, and more importantly, in some ways, their wives — remember this is '40s, '50s, '60s and into the '70s — their wives typically didn't work at a career-type job outside the home. They threw themselves into the town. So they did hospital benefits, they did benefits for preserving the old Antebellum homes in Lancaster, they did vaccination drives, they made sure the sidewalks got repaired, the streets got paved, they attended city council meetings. This was a core of civic leadership. On the 1987 acquisition of Anchor Hocking by the Newell Corp.
Workers will tell you that Newell was not a bad employer. They were not necessarily unhappy under Newell. It wasn't the same; it was less of a family atmosphere. Workers who are hourly people and salaried people all say the same thing. They say that the company became somewhat more efficient, that they made money, they made money for Newell, that they were not unhappy under Newell, but it didn't feel like the old Anchor Hocking, and it never would again. When you can pay a foreign worker a third or less of what you're paying a unionized flint glass worker in Lancaster, that's an element, but it's far from the only one. We seem to have this shrugging-shoulders belief that this is all some sort of natural evolution, like how the dinosaurs died. But what I'm trying to argue in the book is that some of this, at least in part, results from a series of conscious decisions [by] politicians, economists, business people, financiers. The best thing going for Lancaster is how much people love their town, and they want it to work. But they're up against some very tough situations. I think partly Trump has already fulfilled at least one expectation, and that is to sort of express this sort of generalized anger and aggressiveness that they wish they could [have] and Trump, I think, is sort of their pilot in doing it for them. Ultimately, I think they'll find that to be empty, but I can't be sure.